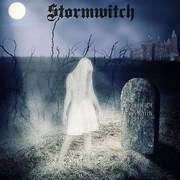 RockUnitedReviews: STORMWITCH: "Season of The Witch"
STORMWITCH: "Season of The Witch"
Originally formed in March 1981 in Germany by guitarist Harald Spengler (aka Lee Tarot) the band imposed themselves a horror-like image and signed with Scratch Records to release their debut album 'Walpurgis Night' in September 1984. Hardly the most successful band to come out of the Teutonic territory during the eighties and they didn't have much luck with the Western public. The band realised this and concentrated on the East bloc, by giving many concert behind the Iron Curtain. Fast forward the odd 30 years and the Berlin Wall is long gone and thus DDR and that darn curtain. So are most of the original members for that matter and merely singer Andy Muck (aka Andy Adrian) can be found shouting along to average metal melodies of the past at The Season Of The Witch. The album ticks in at approx 36 minutes and the nine tracks on display here are showcasing a second rate version of Demon vs. the old Stormwitch horror material. They are more cult than great to be honest and it's just a question of how many of these 80's cult metal acts can you stomach today? The drums are way to soft in the mix and it's more like tin-cans than thunder. They do have a couple of decent ballads on here and the track, Last Warrior", may just get your heart ticking at rapidly speed for a couple of minutes. It's otherwise a rather dry platter and simply not enough of satisfaction to the action. Meh. SWEET & LYNCH: "Only To Rise"